Wave Arts has introduced Dialog – an app for Windows and Mac that combines the tools to clean up, adjust, and sweeten spoken voice recordings. Dialog includes brickwall filters, de-hum and de-buzz processing, broadband noise reduction, de-ploding, de-essing, 10-band equalization, compression, and limiting. 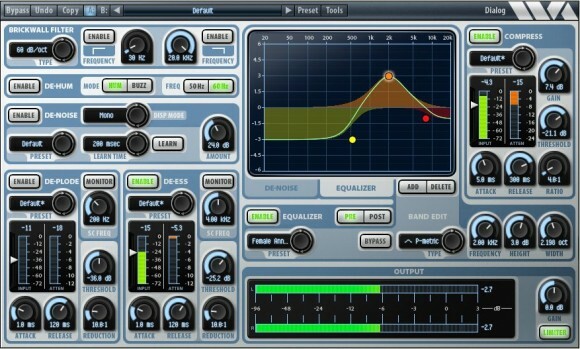 Separate presets are available for each section. Dialog retails for $249.95. A demo version is available.